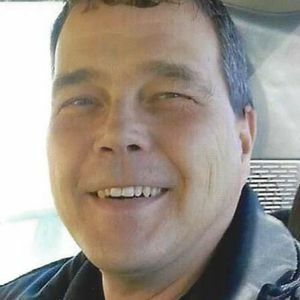 SPRINGFIELD, TN- Steven Lee Edwards, Sr., 52 of Springfield, Tennessee, died Friday, March 3, 2016 at North Crest Hospital in Springfield. Mr. Edwards was born March 30, 1963 in Louisville. He was a member of the Baptist Faith. Mr. Edwards is preceded in death by his mother, Virginia Edwards; brother, Gerald Wayne Edwards, Sr.; nephew, Troy Anthony Hess. Survivors include his sons, Steven Lee Edwards Jr. of Louisville, Jeremiah Luke Edwards of Arkansas; daughter, Abigail Marie Edwards of Arkansas; grandchildren, Dylan and Zoey Edwards; father, Kenneth W. Edwards of Leitchfield; brother, Jeffrey Eric Edwards of Leitchfield; sisters, Sheila EdwardS Hess of Springfield, Denise Edwards Childers of Leitchfield; fiancé, Jill Kemper of Gallatin Tennessee; niece, Tiffany Myriah Morgan; nephew, Kevin Wayne Hess; many other loving nieces and nephews. Funeral Services will be Monday, March 7, 2016 at 1:00 PM at Tucker Funeral Home in Central City with Bro. Bill Bursztynski officiating. Burial to follow in Rose Hill Cemetery in Central City. Visitation will be Sunday, March 6, 2016 at 5:30 PM a the funeral home. Online condolences can be made at www.tuckerfuneralhomes.com. Create An Online Memorial For Steven Lee Edwards, Sr.
My mom sue booth doss and I are so sorry to hear of your loss our prayers and thoughts are with you.